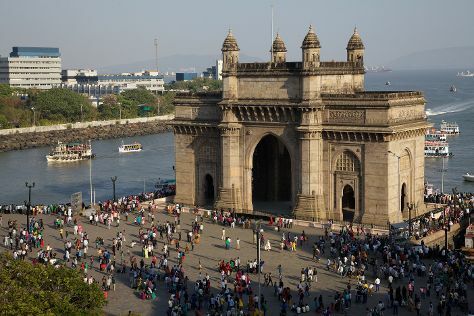 Mumbai is known for historic sites, scenic drive, shopping, nature, and theme parks. Your plan includes some of its best attractions: pause for some photo ops at Gateway of India, take an in-depth tour of Chhatrapati Shivaji Maharaj Vastu Sangrahalaya, admire the striking features of Chhatrapati Shivaji Terminus, and contemplate in the serene atmosphere at Shree Siddhivinayak. To find more things to do, maps, where to stay, and tourist information, read Mumbai online journey planner . New Delhi to Mumbai is an approximately 4.5-hour flight. You can also take a train; or drive. While traveling from New Delhi, expect little chillier days and about the same nights in Mumbai, ranging from highs of 39°C to lows of 28°C. Finish your sightseeing early on the 28th (Sun) so you can travel to Chennai. On the 29th (Mon), see the interesting displays at Vivekananda House- Multimedia Cultural Museum, then tour the pleasant surroundings at Marina Beach, and then take in the local highlights with Walking tours. Keep things going the next day: take in the spiritual surroundings of Kapaleeshwarar Temple, pause for some serene contemplation at San Thome Church, then admire the natural beauty at The Theosophical Society, and finally get your game on at Kartwheel. 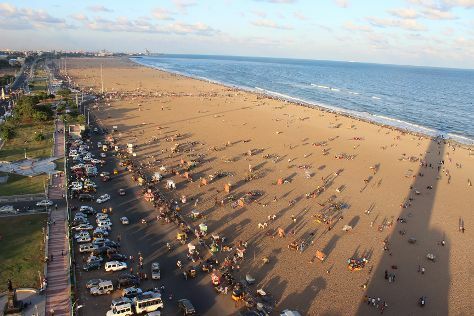 Ask Inspirock to suggest an itinerary and make planning a trip to Chennai fast, fun, and easy. Traveling by flight from Mumbai to Chennai takes 4.5 hours. Alternatively, you can do a combination of flight and train; or drive. In April, plan for daily highs up to 42°C, and evening lows to 30°C. Wrap up your sightseeing on the 30th (Tue) to allow time to travel back home.